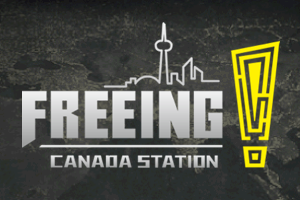 One thing we often get asked by escape room owners and enthusiasts across North America is where the first Canadian escape room company is located, and if we’ve been to it… Thanks to an invitation from the owners at Adventure Rooms Canada in Waterloo, Ontario we can now proudly say we’ve experienced ‘the original’ first hand! We were also reunited with long-time friends of ERA who live in Waterloo and wanted to help us tackle this challenge… but enough about us and why this visit was special, what about the room itself? Now for another odd twist. As we entered the room, we were simply asked if we were ready to start, no pre-story, no video, no context; we assumed it was just a time restriction or perhaps the introduction would take place inside the room itself (more on that later). Reflecting on the immersion of this room took us back to our earlier observation where no pre-story was given. We simply entered the room and began playing. 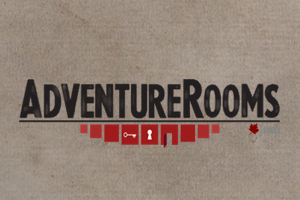 This is because Adventure Rooms Canada takes a different approach to escape rooms and unlike any company we’ve seen to date, they don’t include stories in their rooms. No pre-story, no video, no in-game story based text… nothing. We inquired about this after our experience and they mentioned they prefer to not get bogged down in story details and put the emphasis instead purely on puzzles, set design and atmosphere. Some of our team found they were able to create a story in its absence, others felt it left them lacking a mission or sense of purpose… It’s definitely a unique philosophy but we have to admit we were surprised how it didn’t spoil some of the immersive moments of the room itself. We learned a valuable lesson from this experience: set design, puzzles, and atmosphere add critically important immersion (debatably just as much?) as a story itself… We didn’t think that could happen, but even after a collective 450+ escape rooms, the ERA team is still learning new things! Having said that you’ve probably already guessed we really enjoyed the puzzles offered in The Mayor’s Office. It started with a great team building puzzle (not merely inclusive, but an actual team building puzzle), and it just kept getting better from there. There were a good amount and variety of puzzles that were generally both inclusive and fun. One thing we took note of was there wasn’t any needless searching. 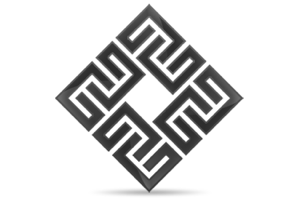 All of the information or items needed to solve the puzzles were readily available. No aggravated searches for the proverbial needle in a haystack? Hurray! So with no story component but good set design and puzzles, could this room be considered fun? Yes! We joked about how story enthusiasts will probably hate this review once we mention The Mayor’s Office being fun. Don’t get us wrong however, we do believe story makes a BIG difference, and truth be told we wished there was a bit more suspense throughout the room. The great thing about The Mayor’s Office is that it’s a good game for almost anyone. Young, old, experienced, or even first time players. All in all whether you believe you need a story, or you believe it’s fine to not include a story, you’re going to feel you had a good time and we recommend checking it out.